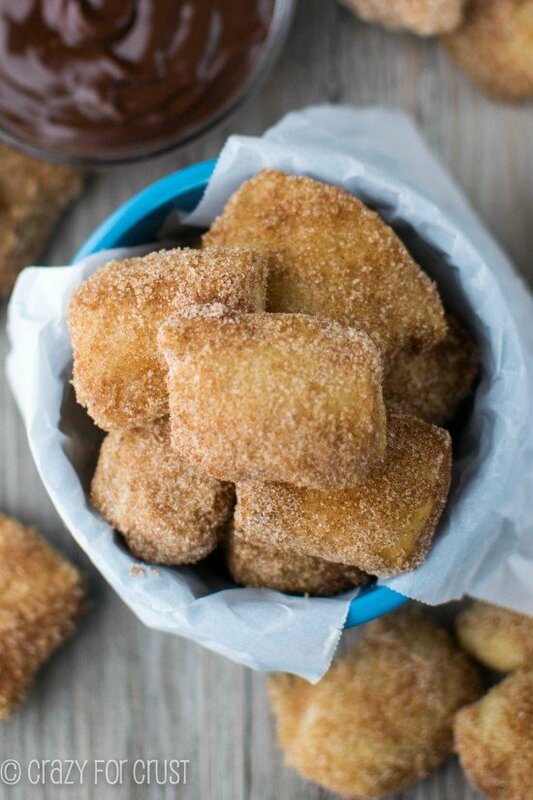 Want cinnamon sugar soft pretzel bites, but want them NOW? 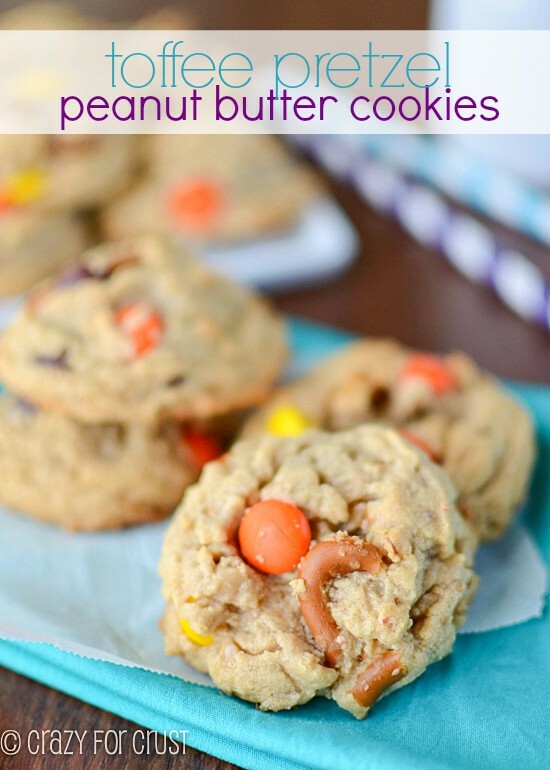 Then these are prefect for you – using breadstick dough! You know how gals that are friends often, er, sync up? You know what I mean. Well…it happens with things other than that too. Last week, Ashton (you know, my BFF from Something Swanky) posted this picture of her homemade pretzel rolls with butterscotch ganache. She had just completed her photo shoot. 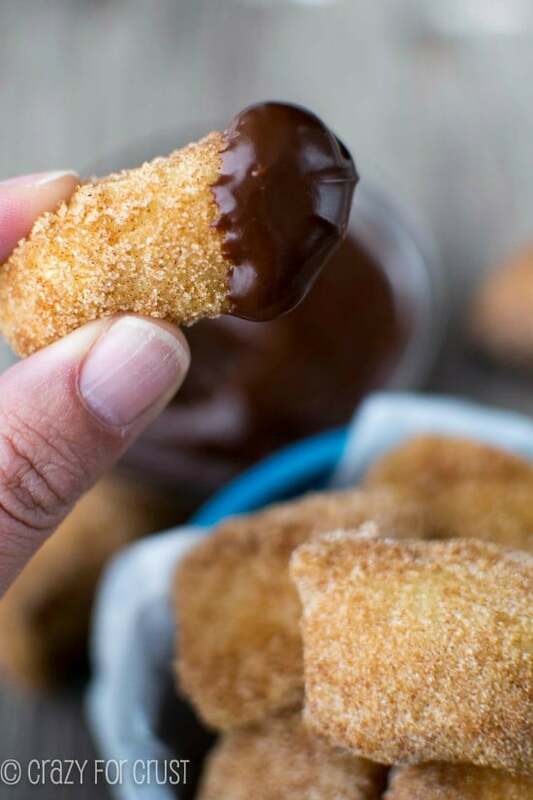 I laughed, loudly to my silent kitchen, then texted her a picture of the photo shoot I was doing that very same day: these pretzel bites with chocolate ganache. That night, I read her blog and she posted Pumpkin Muffins, and I texted her again, because I’d been planning to make pumpkin muffins the next day. Great minds think alike. Plus, we’re such great friends, and we think in sugar (constantly) so it’s bound to happen. This is not the first time, and it won’t be the last! I love soft pretzels. It’s actually dangerous that there are so many recipes for them out there in blogland. If I make a batch, I’ll eat the entire thing. Probably in less than 24 hours. It’s a skill I’ve finely honed over 36 ears: eat like Man vs. Food. Only, it’s Girl vs. Dessert. Or Girl vs. Carbs. I win, every time. Last week, when I was at the Pillsbury Test Kitchen (photos soon, I promise…and when I say soon I mean in the next month…or so) we got on the topic of soft pretzels. I told them they needed to get on it: a tube of pretzel dough. I mean…can you imagine? Now that would be scary for me. So, because they have to, you know, vote on it and invent the recipe. Then test it 5,000 times and do 750 trials with control groups and meet with ad execs to approve packaging, I’ll only assume it’s going to be awhile before those hit the shelves. 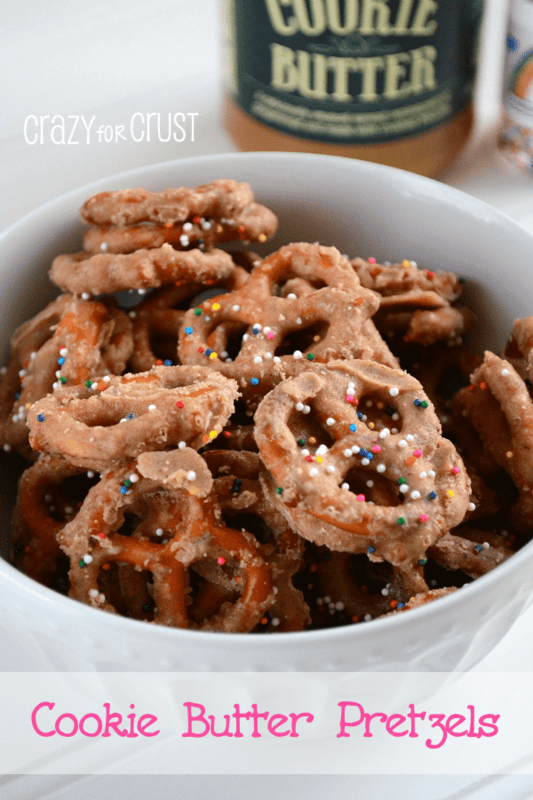 In the meantime I made some quick soft pretzel bites that could hold you over. And I used breadstick dough. Which means you can skip the mixer and the kneading and the rising, and go right to the boiling and baking. I simply sliced each breadstick into 4 pieces. Then I boiled them in water containing baking soda and salt, and then baked them. Now…please do not comment and tell me these don’t taste like the soft pretzels you get at the ball game. These are made from breadsticks. Yes, they’re chewy. The salt in the water and the salt in the butter you dip them in make them salty. But taste-wise they are different from regular soft pretzels…because they’re made of breadstick dough. 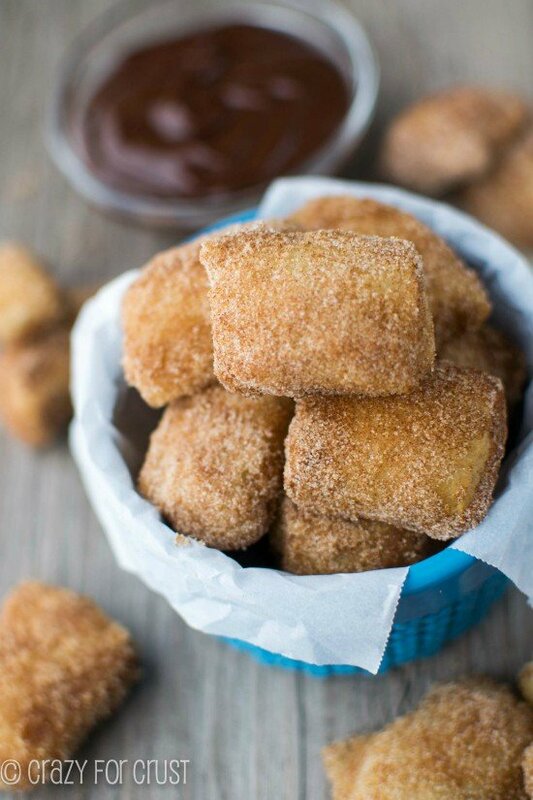 They don’t look browned like pretzels, which is why covering them in cinnamon sugar is key…and well, why wouldn’t you? But, covered in butter and cinnamon sugar, warm from the oven they do satisfy that “I need a soft pretzel NOW” need. And then well, I made chocolate ganache. EVERYTHING is better dipped in ganache. Am I right? 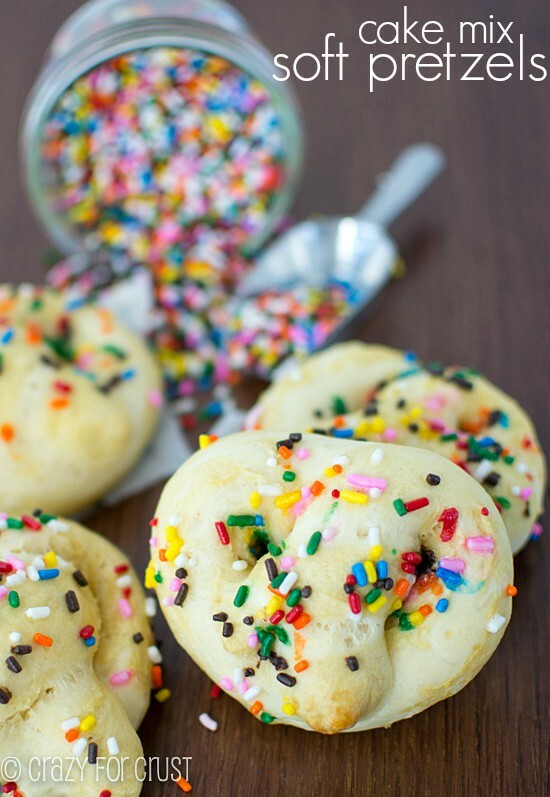 Want a traditional pretzel recipe? And BUTTERSCOTCH GANACHE? Go check out Ashton today! Unroll and separate the breadstick dough. Use kitchen scissors or a serrated knife to cut each breadstick into four pieces, for a total 48. When the water boils, add the baking soda and salt. Working in batches, place 4-6 pieces of dough in the boiling water for about 15-20 seconds. After a few seconds, flip them over. The dough will change slightly in color. Remove from the pan with a slotted spoon, tap to remove all water, and place on prepared cookie sheets. Continue until all pretzels are boiled. Serve warm or room temperature, with optional chocolate ganache for dipping. Best served the day of. These didn’t taste as great on day 2! To make the ganache, add cream and chocolate chips to a microwave safe bowl (I use a glass measuring cup) and heat for 30-45 seconds. Whisk until chocolate melts and let sit at room temperature until it thickens slightly. You can do this before making the pretzels, or while they are in the oven. I’ve never seen breadstick dough used as a shortcut! I’m imagining the texture and flavor and yep, my mouth is watering. I hate/love it when people post the same thing I do on the same day (its scary and funny at the same time … it IS halloween:) Oh, and Girl always beat carbs around here. It wouldn’t even need a competition with these around! these look so good! So interesting that you use breadstick dough. Pinning this right now! Such a great idea to use breadstick dough here, Dorothy. 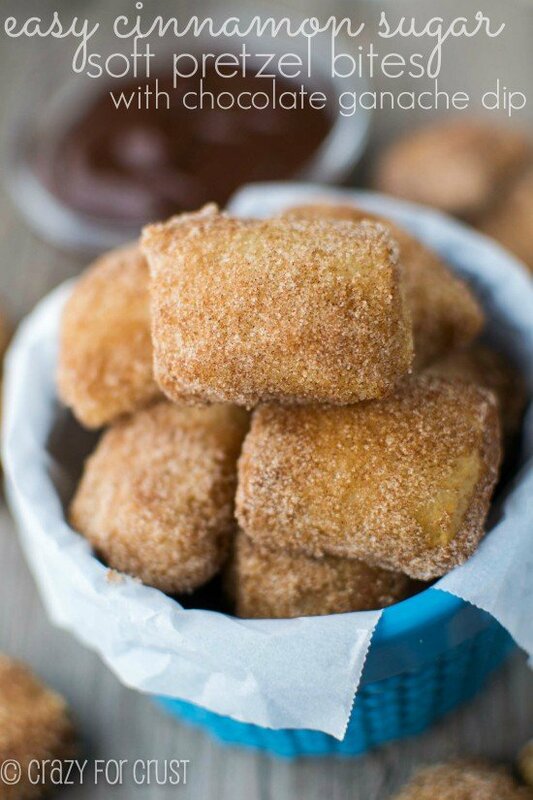 That just means I can have soft, warm, pillowy bites of carbs smothered in sugar-cinnamon as soon as possible! The more sweet treats the better. These look super good. Football game finger food -having these in the room would keep me entertained. I am particularly excited about the Cinnamon Sugar Soft Pretzel Bites, as I am addicted to the ones from Auntie Anne’s. I love the fact that the base is breadstick dough. I’m really anxious to try them out. I don’t know that store – what is the brand? I’ll have to look and see if I can find it! I’m glad you liked them Jacob! !